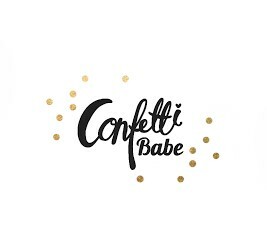 Confetti Babe: Bye Bye Crud! Sigh, for the past week Zoey has been extremely sick. She's has a fever everyday since Sunday. In the beginning it was pretty much all day. It finally reduced to just once a day. Finally today there has been no fever. Now she is still fighting an extremely runny and congested nose. As of today, this mama is exhausted! There have been nights that I have gotten no sleep because my sweet babe could not sleep. I felt helpless. I took her to the ER, ya know, first time mom stuff. They dismissed it as being an upper respiratory infection. I hate feeling like I'm just paranoid and I'm supposed to just let it be. I know it just has to pass and there's not much that she could be given. I have purchased a vaporizer, sat in a heavily steamed bathroom and held my screaming child so to attempt to clear her congestion. One of the worst feelings in the world is having a sick babe and not being able to do much about it. Today I'm declaring it "go away crud day." Simply because we deserve this day or rain to rest and recover. We're going to have a go away crud party and I'll have my sleep and happy baby back! Oh no :( poor baby girl. I hope she feels better ASAP! We've been sick for about a week here too. Thank you! Thankfully, we're just battling a runny nose. Hope you all get well soon! It's no fun. Hippity, Hoppity...Easter's on it's Way! Quack! Quack! New friends joined our pack. Check Up's, Boxes, and Giveaways.